I haven’t been to Topeka in 20 years, but I’m certain that a small deli in Little Russia was putting out the same chili then that can be found there today. Topeka is the birthplace of my great grandmother Caroline Porubsky and an eponymous deli, Porubsky’s. Charles and my great grandmother Caroline were first cousins. In a large skillet or gallon pot, sauté the onions and garlic in the oil until they are soft. Add the beef and salt. 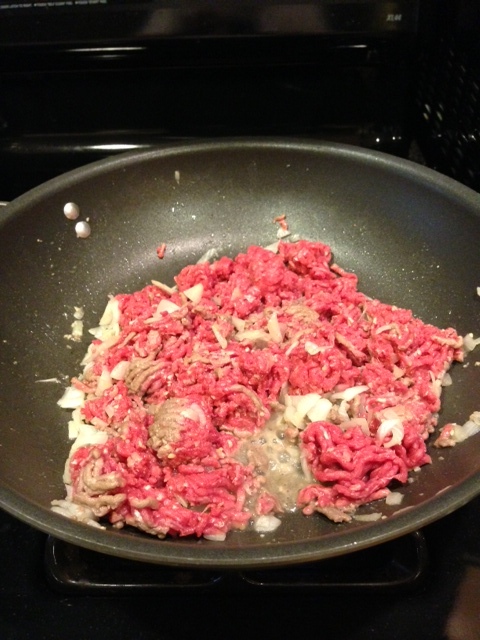 Cook until the beef is completely browned, breaking it up with a fork as it cooks. Drain off any excess fat. 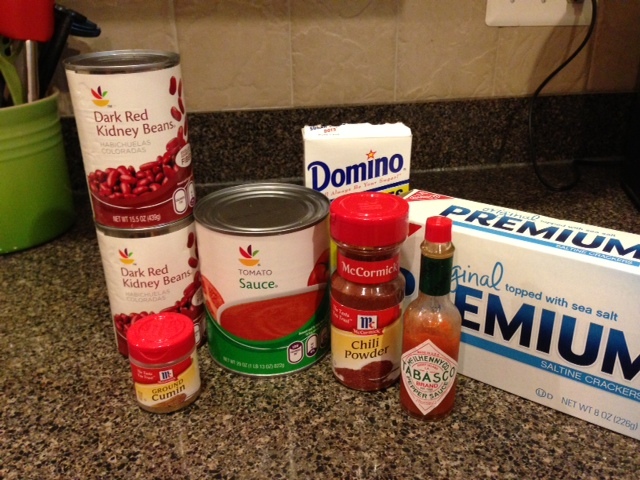 Add the chili powder, cumin, Worcestershire, sugar, tomato sauce, and 2 cups water. Bring the chili to a low boil and summer 30 minutes, stirring occasionally. Add the beans and simmer 15 minutes more. Add the Tobasco and more salt, if desired. The chili was a winner in my book. 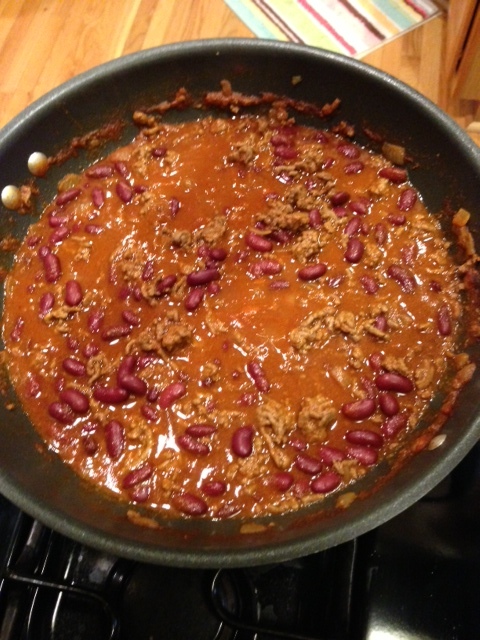 A very simple beef and red bean chili with great flavor and mild heat. You could obviously jack that up with more Tabasco or by adding red pepper. I added a few dashes of Tabasco and it was perfect me for. If you’re looking for a great, simple recipe, give this one a try. Jane and Michael Stern. 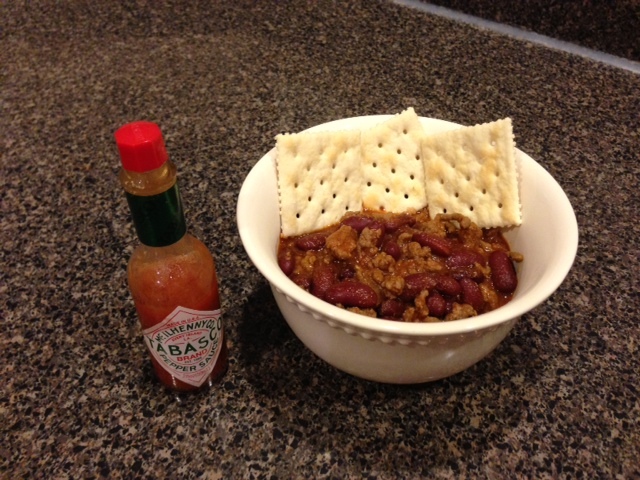 Porubsky’s Grocery Store Chili – Kansas. The Recipe Link. http://www.recipelink.com/cookbooks/1999/0767902637_1.html. Accessed May 8, 2013. 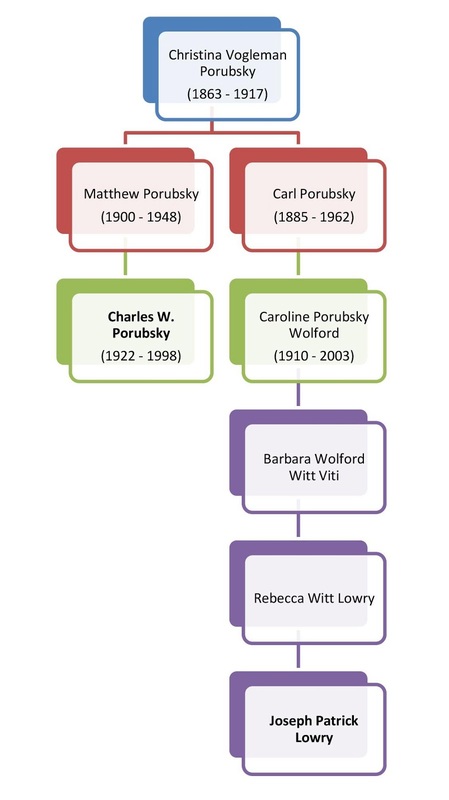 Matthew Porubsky. “Porubsky’s Transcendent Deli.” YouTube. Gizmo Pictures, August 9, 2009. http://www.youtube.com/watch?v=ctCI3Ss2lUg. Accessed May 8, 2013. Looks yummy….I want tot look for my moms BBQ chip chopped ham recipe…does it have to be Isaly's chip chopped ham?